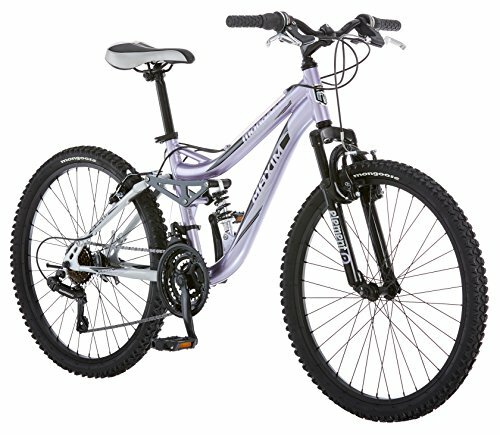 The 24-Inch Mongoose Maxim alluminum full suspension bike offers a smooth and controlled ride with a suspensin frame and front suspension fork. This bike can be riden easily on a wide variety of terrain and the Shimano gearing and SRAM twist shifters make this a breeze to shift. Alloy linear pull brakes for sure stopping power.